Each 375 mg Curamed gelcap is 1/2" long and just 1 gelcap per day is great for health maintenance but may be increased as needed to address specific situations. Perfect size for children, small dogs or adults with difficulty swallowing larger capsules. 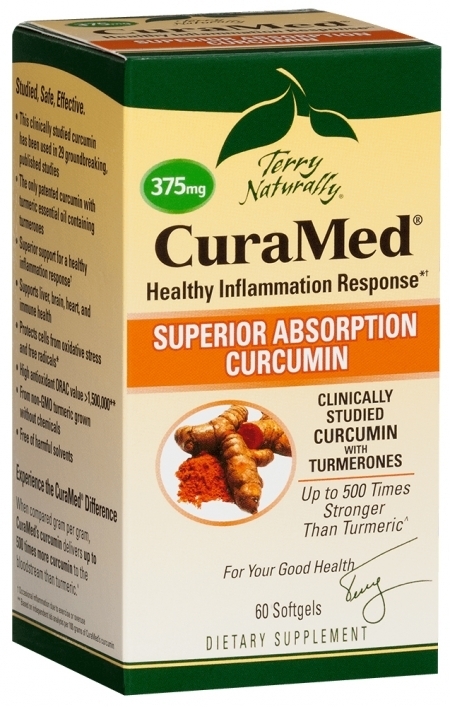 Curamed is produced by the only patented process in the world that combines turmerones with curcumin. 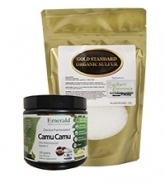 This special process makes Curamed 500 times more powerful that raw turmeric alone. It also has enhanced absorption ensuring it stays in your bloodstream longer in meaningful doses that matter. A Healthy Inflammation Response- inflammation is thought to be the source of a variety of ailments and the cause of many health issues. Better Mood- clinical studies support the use of curcumin for increasing a sense of well-being and better mood. It also supports healthy levels of serotonin and dopamine in the brain. Brain Health- curcumin offers support for increased focus and concentration and helps to protect the brain from the effects of stress. Children and Small Dogs- 1 gelcap daily for general support. Adults- 2 gelcaps daily for general support. May increase dose depending on therapeutic needs.